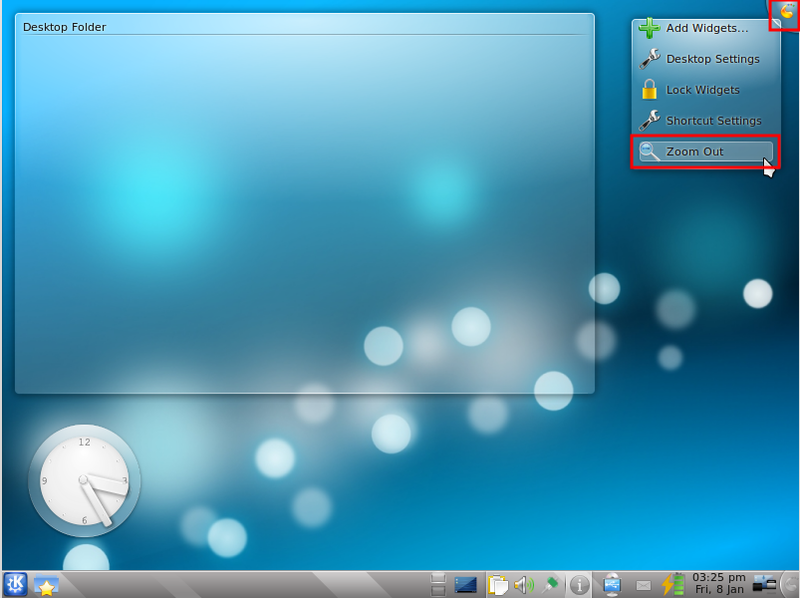 Plasmoids are the widgets that are present in the plasma desktop in KDE SC 4.x. One little know feature of plasmoids is that they can be set such that different plasmoids appear in different workspaces. In this article we shall show you how to do this. 1. Left click on the "cashew". It is located at the top-right corner by default. 2. You will get a menu. From this menu, click on "Zoom Out". 3. 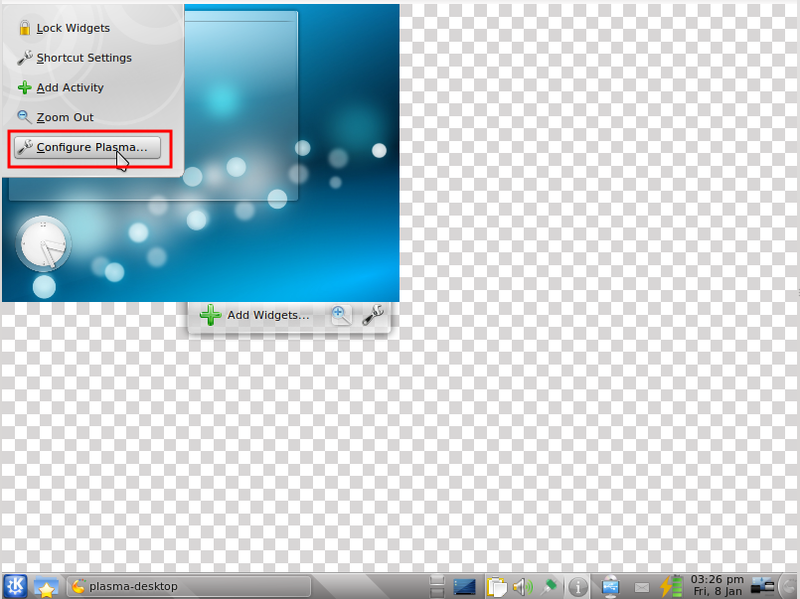 After the workspace has been zoomed out, you will get a menu in the top-left. 4. 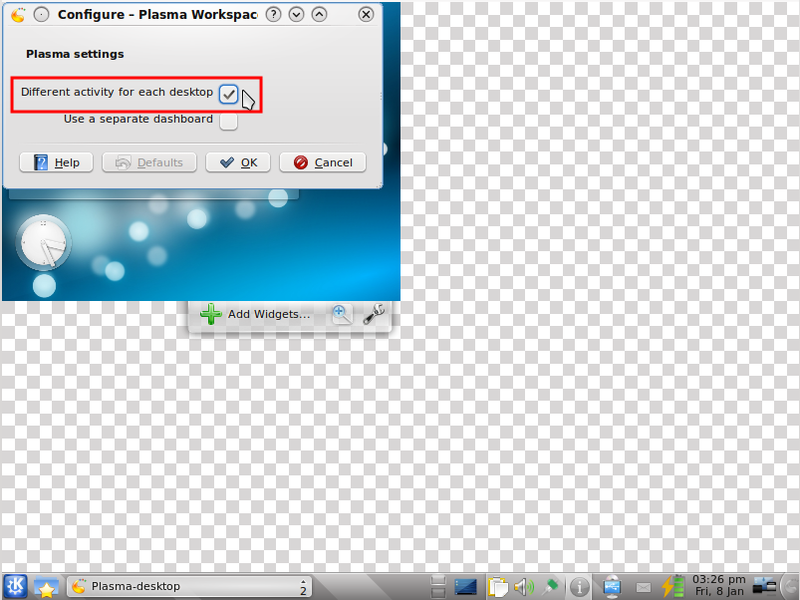 From this menu, click on "Configure Plasma". 5. Now check the box next to "Different Activity For Each Desktop". Click "Ok". 6. Zoom in and now you will get different plasmoids in different workspaces.